Shutterstock has released its annual trends report that the platform believes will influence creative direction and design aesthetics in 2018. 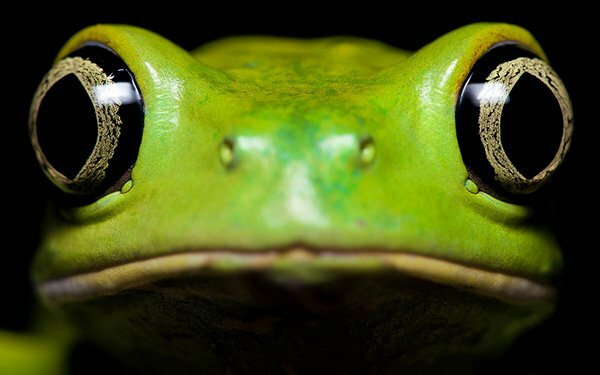 In the U.S., specifically, "waxy monkey," or what the image platform considers a green tree frog picture, is a surprising trending term. "We are intrigued to see how it will translate to creative content in marketing and advertising campaigns," says Robyn Lange, curator, Shutterstock, adding there really is no additional context to share about why or how it has become so popular. Shutterstock analyzes billions of searches within the platform's collection of 170 million images by customers, including those in the advertising, film, and media industries. A team of data scientists, creative professionals, and content reviewers then interprets year-over-year surges in 2017 to compile a cohesive list of 11 styles that will influence design in 2018. Other emerging global trends include fantasy-type images that enable people to explore alternative worlds. The term unicorn is up 297% and mermaid is up 145% from the previous year. Epic, orchestral music is also growing in popularity as marketers and creative professionals add a bit of the supernatural to our every-day lives. Second, minimalism is evolving from its modest roots to look fit for modern times. While searches for “continuous line” increased 432% from the previous year, a new contender in minimalism, “neon circle,” was searched for 387% more than the year prior. Third, "Star Wars" is likely influencing the sci-fi and space trends. Searches for solar are up 991% and interest in astro has increased 671%, while the popularity of the iconic sci-fi synthwave sound has increased 494% from the year prior. Another surprise has been the sheer volume of searches for "ancient geometric" content and how this reflected across images, video and music content, says Lange. "The big takeaway for advertisers is that these trends can elevate an idea or brand message to reflect upcoming designs and aesthetics and capture your audiences' attention as a result," she says. "As advertisers develop campaigns throughout 2018, we recommend keeping these visual trends in mind and using the hand-curated collections of images, video and music to not only generate ideas and create storyboards but also produce final designs."